Alice Silke of Holmes Beach and Kim Scharafin of Illinois ride past 6906 Holmes Blvd. The home is the subject of a Bert Harris Jr. claim filed Jan. 12 against Holmes Beach. Some property owners are hoping to recover losses on their investments from the city. Nineteen pending Bert Harris claims from Holmes Beach property owners, alleging $5.83 million in losses, including three new claims in January, await response from city leaders. 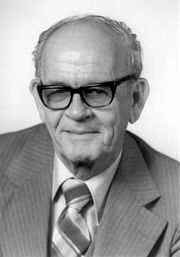 Bert J. Harris Jr. Private Property Rights Protection Act of 1995 gave owners the right to file claims to recover losses due to property rights takings by legislative fiat. 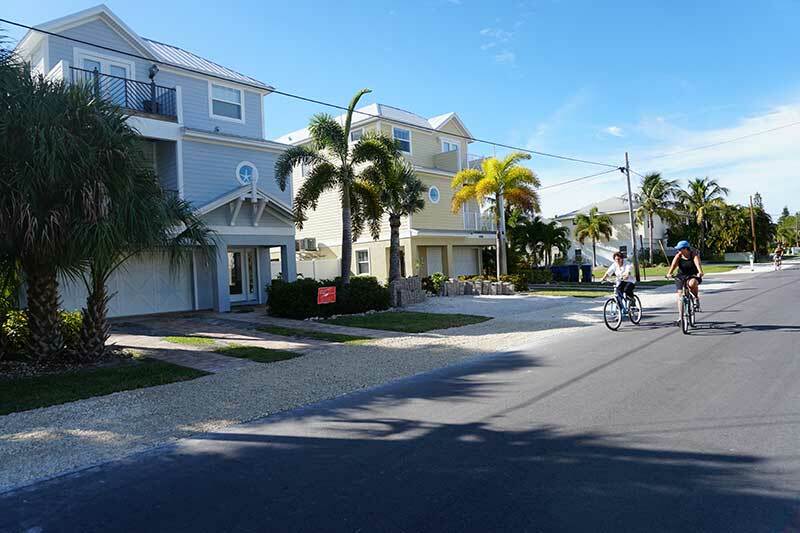 And the city’s vacation rental ordinance, effective Sept. 8, 2015 — limiting occupancy to two people per bedroom or six occupants per home, whichever is greater — is the overreaching government act alleged by the majority of Holmes Beach claimants. The restriction is cited by attorney Aaron Thomas of Najmy Thompson P.L. of Bradenton in claims filed in January against the city on behalf of the owners of 6906 Holmes Blvd., 6422 Gulf Drive-Unit 5 and 204 69th St.
Thomas filed a $395,000 claim Jan. 12 for the Ocala owners of the Holmes Boulevard six-bedroom home they claim was built to accommodate 16 people. The owners are DSB RE Holdings LLC. Thomas filed another Jan. 12 claim at city hall for a $380,000 loss for R. Carlile Roberts, who owns a three-bedroom Gulf Drive rental home. The owner claims the home was built to accommodate eight occupants. Thomas filed the third claim for $355,000, stamped Jan. 13, on behalf of Tyler and Melissa Prout of Wisconsin, who own a 69th Street five-bedroom condominium they say can hold up to 14 occupants. The Bert Harris act limits claims to those filed within a year after a government entity first applied a restriction. The first application, according to state law, can be either by written notice of a statute enactment or a development denial. 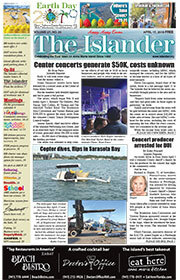 Mayor Bob Johnson said Jan. 19 that Holmes Beach sent no notices related to the enactment of the 2015 city ordinance. As far as the claims awaiting settlement offers, Johnson expects city commissioners to hold a shade meeting and extend offers to some claims in the next 30-60 days. Offers — which, according to the act, may include a property purchase, allowing a use and even “no changes to the action of the governmental entity” — must be extended by the government entities served with a Bert Harris claims. The state set a 150-day time frame for the city to make an offer, and, if the matter doesn’t settle, tender a statement of allowable uses. After 150 days, the claimant can seek resolution in the courts. In Holmes Beach, most claims were filed between March and November 2016. In two claims, 626 Key Royale Drive and 306 Clark Drive, the owners filed lawsuits. In 306 Clark LLC v. Holmes Beach, Thomas filed a complaint on behalf of the owners, Keith Carter, Emma Stringer and Claire Daley, in November 2016, alleging $84,600 in damages. The complaint states the city burdened the owners’ vested rights to build an eight-bedroom duplex. Instead, a six-bedroom duplex was constructed, with three bedrooms per unit. The city filed Dec. 19, 2016, to dismiss the Clark complaint, claiming the Clark Drive owners failed to submit a permit to add bedrooms. Louis Najmy of Najmy Thompson said his firm will respond to the city’s motion for dismissal. The Key Royale Drive case went to trial Dec.12-16, and 12th Circuit Judge Gilbert A. Smith Jr.’s decision is expected in about a month. If the judge finds Holmes Beach liable, a jury will be selected to determine damages. At trial, owners Leah Marie Enterprises LLC and Kathleen Morgan of Anna Maria, represented by Morgan’s husband, Sarasota attorney David Johnson, alleged the city imposed improper building restrictions to their remodeling permit. An appraisal filed with Leah Marie’s original claim indicates a loss of $319,479. 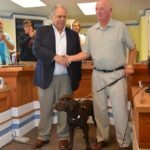 The city is represented by Trask Daigneault LLP of Clearwater, attorneys provided by its insurer, Florida Municipal Insurance Trust, which contended the owners went beyond the scope of their permit. In other Bert Harris claims against the city, owners allege city restrictions, including a reduction in living-area ratio, a front-yard pool ban and limits on pool size, have reduced value or burdened their properties. 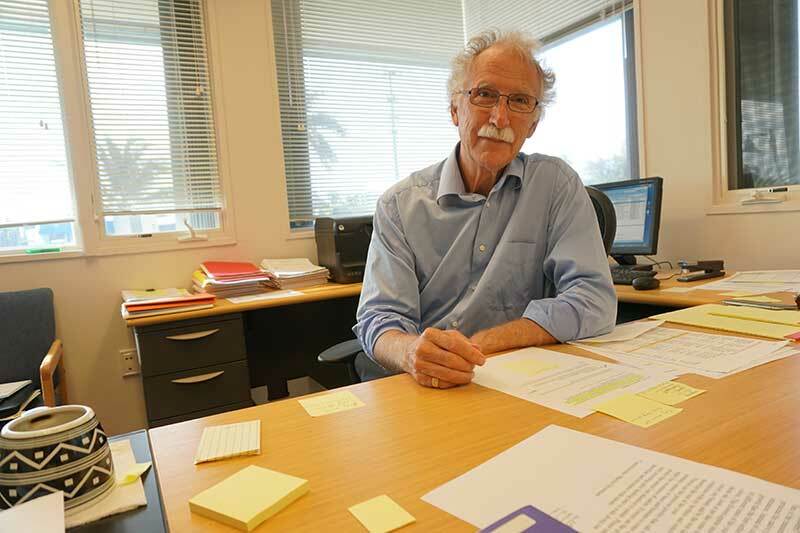 Bert J. Harris Jr. is a name heard more and more on Anna Maria Island, in conversations on the streets and at city halls, as well as in county courtrooms, as more than 100 claims have hit Anna Maria and Holmes Beach. 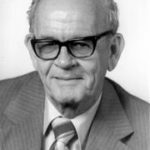 A champion of private property rights and the agricultural and cattle industries, Bert J. Harris Jr. was a state representative for the 77th district 1982-96. On May 18, 1995, Gov. Lawton Chiles signed into law Harris’ namesake legislation, the Bert J. Harris Jr. Private Property Rights Protection Act. 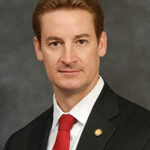 In signing the law, Chiles was partly inspired by the “regulatory gauntlet” and $50,000 increase in costs, he endured to build “a cook shack” on his north Florida property, according to a June 2011 Stetson Law Review article by Frederick Reeves, George Reeves and George Zadorozny. Harris was a World War II veteran and served in the U.S. Army Air Corps and the Pacific Theater, state government records show. The number is now 19. Nineteen claims have been filed against the city of Holmes Beach. The first was made Aug. 29, 2014, the most recent Jan. 13 and most were made in 2016. The claims invoke the Bert J. Harris Jr. Private Property Rights Protection Act, alleging a city law, regulation or restriction inordinately burdened property and permanently deprived the investment-backed expectation of an owner. Of the 19 claims, two owners filed lawsuits. One suit, which awaits a judge’s decision, challenges building restrictions placed on 626 Key Royale Drive. Another lawsuit, filed Nov. 8, 2016, by the owners of 306 Clark Drive, is in a preliminary stage. The claim alleges the city burdened the property by a building moratorium and a Sept. 8, 2015, rental ordinance that limited a duplex to two-bedrooms per unit. City settlement offers before the lawsuits were filed — and for claims made for 7003 Holmes Blvd. and 128 49th St. — failed to resolve the matters. “If the city decides not to enter into settlement discussions, the next logical step for people filing Bert Harris claims is to coalesce around one case that will be litigated as a test case,” he added.